In Windows 10, version 1703 and later, the Windows Defender app is part of the Windows Security. 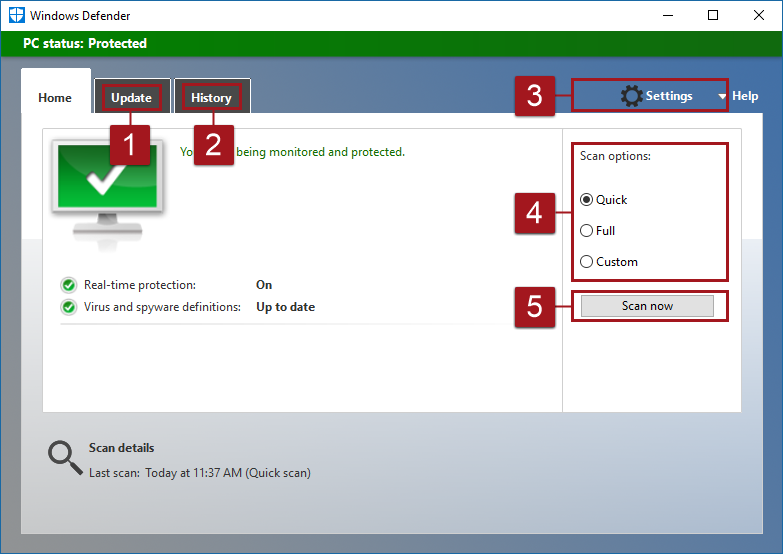 Settings that were previously part of the Windows Defender client and main Windows Settings have been combined and moved to the new app, which is installed by default as part of Windows 10, version 1703. Disabling the Windows Security Center service will not disable Windows Defender AV or Windows Defender Firewall. These are disabled automatically when a third-party antivirus or firewall product is installed and kept up to date. 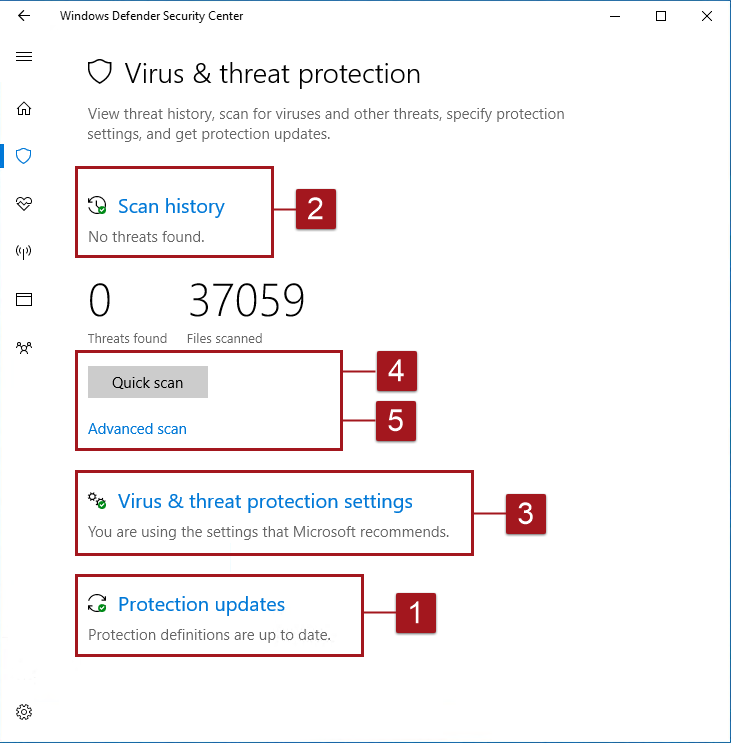 If you do disable the Windows Security Center service, or configure its associated Group Policy settings to prevent it from starting or running, the Windows Security app may display stale or inaccurate information about any antivirus or firewall products you have installed on the device. It may also prevent Windows Defender AV from enabling itself if you have an old or outdated third-party antivirus, or if you uninstall any third-party antivirus products you may have previously installed. This will significantly lower the protection of your device and could lead to malware infection. See the Windows Security topic for more information on other Windows security features that can be monitored in the app. Click the Virus & threat protection tile (or the shield icon on the left menu bar). All of the previous functions and settings from the Windows Defender app (in versions of Windows 10 before version 1703) are now found in the new Windows Security app. Settings that were previously located in Windows Settings under Update & security > Windows Defender are also now in the new app. 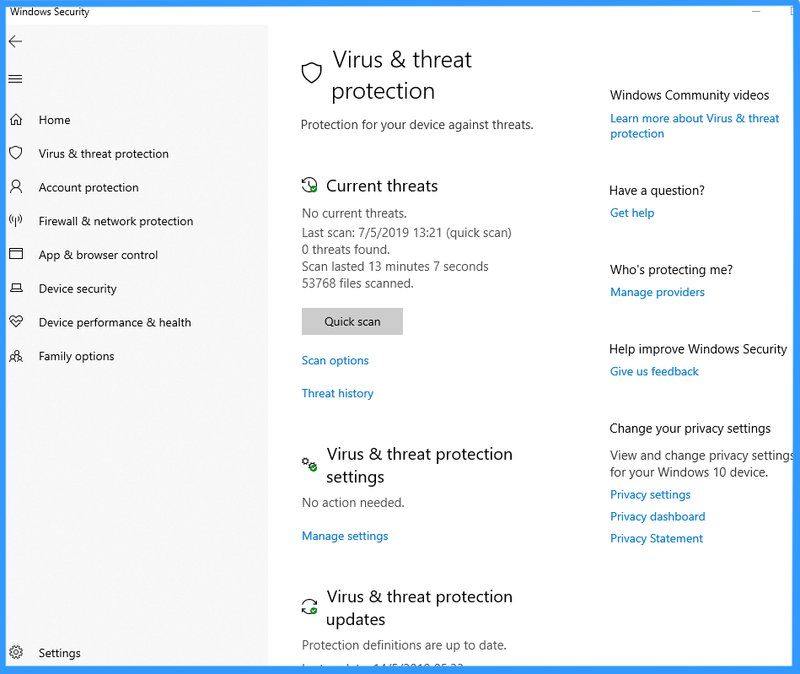 This section describes how to perform some of the most common tasks when reviewing or interacting with the threat protection provided by Windows Defender Antivirus in the Windows Security app. If these settings are configured and deployed using Group Policy, the settings described in this section will be greyed-out and unavailable for use on individual endpoints. Changes made through a Group Policy Object must first be deployed to individual endpoints before the setting will be updated in Windows Settings. The Configure end-user interaction with Windows Defender Antivirus topic describes how local policy override settings can be configured. Click Run a new advanced scan to specify different types of scans, such as a full scan. Click Virus & threat protection updates. The currently installed version is displayed along with some information about when it was downloaded. You can check this against the latest version available for manual download, or review the change log for that version. Click Check for updates to download new protection updates (if there are any). Toggle the Real-time protection switch to On. If you switch Real-time protection off, it will automatically turn back on after a short delay. This is to ensure you are protected from malware and threats. 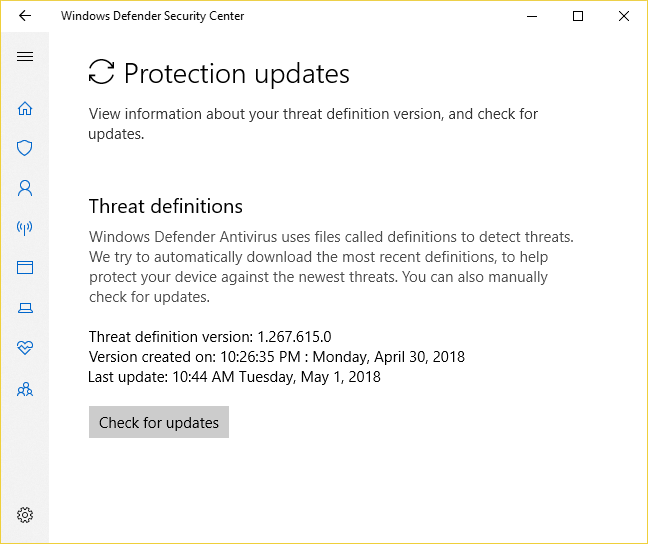 If you install another antivirus product, Windows Defender AV will automatically disable itself and will indicate this in the Windows Security app. A setting will appear that will allow you to enable limited periodic scanning. Under the Exclusions setting, click Add or remove exclusions. Click the plus icon to choose the type and set the options for each exclusion. Open the Windows Defender Security Center app by clicking the shield icon in the task bar or searching the start menu for Defender. Click See full history under each of the categories (Current threats, Quarantined threats, Allowed threats). To change Controlled folder access settings, see Protect important folders with Controlled folder access. To set up ransomware recovery options, click Set up under Ransomware data recovery and follow the instructions for linking or setting up your OneDrive account so you can easily recover from a ransomware attack.